In this post, we will discuss in explicit detail the top 18 best places to sell photos online and make money. Let us now examine each of those places where you can sell photos online in greater detail. The best place to sell photos online remains your website or blog. The reason is not far-fetched. On one hand, you will be able to have complete control over how and where your photos are displayed. On the other hand, you will be able to charge the amount for each of your photos by yourself. Better still, you will not need to share the money from the sale of your photos with anyone. The full amount that is due to you from the sale of your photos is credited to your account instantly. Perhaps the greatest reason why you should sell your photos on your own blog / website is the multiple opportunities of generating additional income from the internet. You can make money from the sale of the photos of other people. You can also earn income from third-party Pay-Per-Click advertising programs and direct adverts placements on your site or blog. Frankly, the opportunities for making money from the sale of photos on your website/ blog is simply limitless. 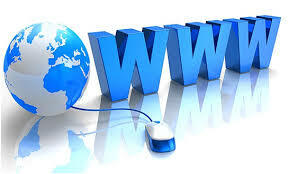 If you are interested in having a blog/ website, it is not half as difficult as it may seem. You can easily use Google’s Blogger or WordPress to create your photo gallery blog within a few minutes time. You do not even need to have any knowledge in html or programming language to use Blogger/ WordPress. There are so many photography themes/ templates to choose from the two blogging platforms. If you do not have the time to manage your own website or blog, then the next best place to sell photos online is on freelance marketing sites like Fiverr. 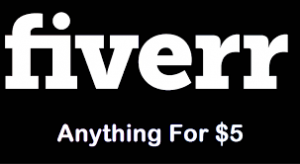 You can earn as low as $5 and as high as $100 for photos sold on Fiverr.com. The beauty about selling photos on Fiverr (example: photos of you holding the message of your customer) is that you have 100% control of your time and how much you will charge for your photos. 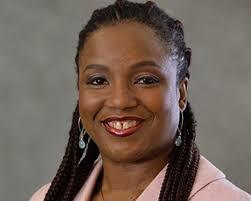 Similarly, you can use ready-made photos repeatedly for several transactions without any conflict. So, it is a good idea to have photos of you holding different signs with different attires already taken for easy editing when you get orders from your customers. Shutterstock is popular across the world for the stock photos online. One reason for this popularity is that they allow photo owners to keep their copyrights protected. Shutterstock also give credits to the photo owners too. Additionally, you can earn as much as 30% of the sale price of your photos depending on the size of your image. Currently, the payout is between $0.25 and $28 per sale. Shutterstock is one of the biggest in the photo business as it is reported to have paid out over $350 million to its contributors since inception. iStock Photo is another wonderful place for newbies to sell stock photos. The unique feature of iStock Photo is that it has popular forums and resources to assist newcomers get off to a flying start with photo sales. iStock Photo’s standard royalty payout usually begins at only 15% per download, but this can increase to 45% depending on the popularity of your photos. 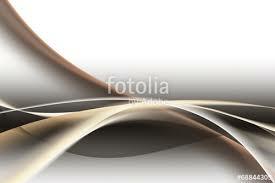 Another great place to sell photos online is Fotolia, a marketplace by Adobe. 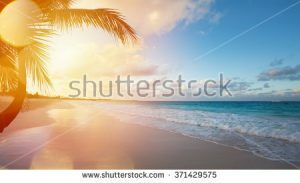 Established over a decade ago, Fotolia has the reputation of being the first online shop to sell photos. Aside from being the first, the royalty share is higher than the other online shops too. One remarkable thing about the site is that photos uploaded at Fotolia becomes a part of the Adobe Stock, and they are also integrated into other Adobe applications like Photoshop, Illustrator, and others. Thus, this makes it easy for people to buy your photos directly from within those applications. Another remarkable thing about Fotolia is that there is no minimum payment threshold on the site. The site offers royalties of between 20-46% which are credited to your account instantly following each sale. The SmugMug Pro package is a platform which enables you to present your photography work on a massively customizable storefront. The platform also allows you to manage your orders too. Some of the remarkable features of this platform is the ability to use the SimplyMug labs to offer prints, books, and greetings cards created from your shots. Other awesome features are the ability to create coupons, photo packages, and built-in analytics. You are also able to retain as much as 85% of your revenue too. Can Stock Photo is website for selling photos that is tailor-made for beginners. 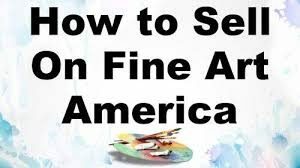 However, you will need to submit three images for consideration and approval by the site’s editors before you can start to sell your photos on the site. The response time is usually 24 hours. One of the unique features about Can Stock Photo is that the metadata and keyword data is done automatically when uploading photos onto the site. This saves you the need to categorize each photo manually. Additionally, you can upload several hundred of photos at once onto the site. The revenue from the sale of your photos is encouraging too as you can earn up to 50% in royalties on the site. The minimum payment threashold is $50 and you can withdraw your money into your PayPal account. But if for some reasons you cannot make use of PayPal, then you will have to wait for your funds to reach $100 for you to be able to request for a withdrawal via a mailed check. 123RF reportedly has over 45 million image files on offer, with almost half a million being added every week. The royalties offered by the site also varies from 30% to 60% depending on your level of contribution. This means that the more photos you upload, the higher your payout will be. For instance, if you upload less than 250 images to the site, you will earn 30%, which translates to $0.216 per download. If you upload over 1 million images, you will receive 60%, which also translates to $0.432 per download. 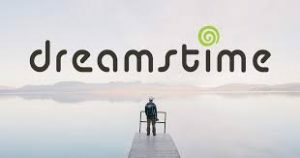 Dreamstock is regarded as a major reputable player in the stock photography world. It achieved this reputation by ensuring that all uploads are reviewed for compliance with their standards. Some of the criteria they use is technical, aesthetical and commercial. This thereby guarantee quality of all photos uploaded on the site. Once your photos are approved, you will receive royalties of 25-50% which can later increase to 60% on all images if you sign an exclusivity contract. You will also receive an additional bonus of $0.20 for each approved submission. The sale price of each photo is based on the number of times it has been downloaded. FineArtAmerica prides itself as the perfect place to set up an alluring portfolio by professional photographers. The site also claims to be “The Best Website Builders to Create a Clean Online Portfolio”. At FineArtAmerica, you can sell each photo as a canvas print, poster, framed print, metal print, acrylic print, or greetings card. When you make a sale, the order (including the printing) can be fulfilled by the company’s own Print-On-Demand service. But, if you prefer to do the printing on your own, you will not need to pay any money to FineArtAmerica. A premium account is required though once your sales are over a certain number. Snapped4u is another great place to sell photos online either as a complete newbie or a professional photographer. 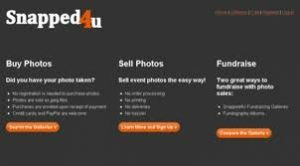 Snapped4U provides the platform for you to simply upload your photos and you simply leave the sale of those photos for the site to handle. You do not need to handle order processing, printing, and postage relating to the sale of your photos on your own. Snapped4U deals with all of that on your behalf. The revenue offered by the site is good too. You will get the most share on each sale. If the photos are sold on good prices, then Snapped4u will charge their commission. The cost to you for each photo sold is just $0.50 on photos that are priced $5 or less. If the photo is sold at more than $5, Snapped4U will charge a 10% commission. BlueMelon is another great place to sell photos online. The website provides a secured platform for you to upload, share and sell your photos. Additionally, the site gives good royalties to the owner of the photos too. Similarly, BlueMelon helps you to integrate your social profiles, blog or website to upload your photos and videos. You can also choose how you want to receive your money from multiple options available. 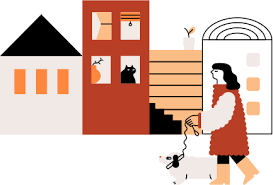 Another great place to sell photos online is Etsy. Etsy has different ways to sell the photos online. They have a larger audience who is ready to purchase your images too. One notable feature about Etsy is that you can set the price for your photos and design on your own. Additionally, Etsy gives you the full control on how you want to display your photos to the buyers too. Crestock is a place to sell photos and earn the money easily. 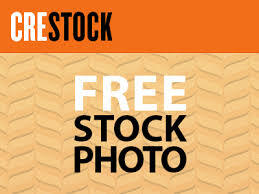 To sell photos on Crestock, you need to set up a free account on this website and upload the photos. They will assess and approve the images to add them in your Crestock portfolio. You can set up a free account with 500px and add the images. They also run several contests to make you earn more in exchange of your photos. Another great place to sell photos online is PhotoShelter. PhotoShelter is an online shop to sell and deliver prints to the clients. They allow you to set up your template for sharing the photos. If you want to sell your photos, but would rather make those sales through your own site, PhotoShelter is a great tool for this. At its core, its a photography-oriented e-commerce platform that you can integrate into almost any website. This includes cloud storage for your photos, an intuitive interface, decent SEO (search engine optimization), and several social media integrations. The benefits of this option include retaining full control over how your photos are displayed, not having your competitors photos displayed alongside your own, and the ability to earn much more of the sale price. A couple of other similar alternatives are Fotomoto and Pixpa. Alamy is a great platform to sell stock photos without any hard and fast rules. The photographers can upload their photos without licensing or any other copyrights issue. They pay a sum of great royalty to the photographers which is why Alamy is known to be the best online places to sell photos and earn a fortune. There is a reason why Alamy has over 60 million images and videos for sale on its website. Its because it offers photographers a huge 50% royalty payment on each photo sold. The site also allows photographers to sell their photos elsewhere. This lack of exclusivity is what makes Alamy alluring to photographers on the internet. This has enabled Alamy to become one of the world’s largest marketplace for stock photos, and it now has a huge number of monthly visitors  all of whom are potential customers for your photos. This post has examined the top 18 best places to sell photos online and make money. You can sell photos on those places either as a blogger or website owner or as an ordinary internet user. Some of the places that you can sell photos as a blogger are on your website / blog, Fiverr, ShutterStock, iStock Photo, Fotolia, SmugMug, Can Stock Photo, 123RF, Dreamstime, FineArtAmerica, Snapped4U, BlueMelon, Etsy, Fotomoto, Crestock, 500px, PhotoShelter and Alamy. On the other hand, if you are not a blogger, the places that you can sell photos online are limited. So, you should seriously consider having a photography blog of your own to take advantage of the limitless money making opportunities that are available. Click Here to Get Your Own Blog without delay!